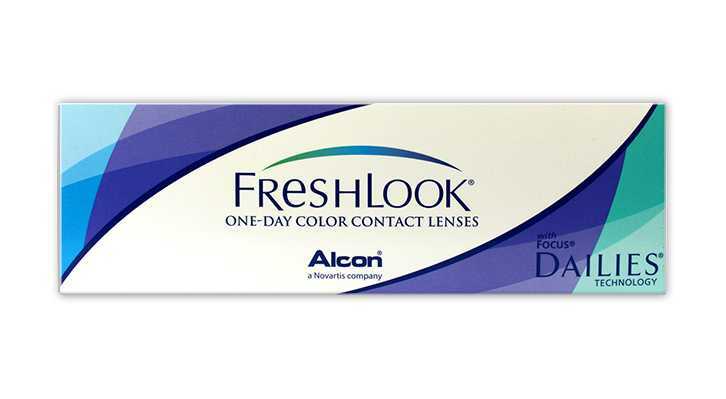 New Freshlook One Day daily coloured contact lenses combine the comfort and performance of the best Seller Focus Dailies contact lens with the cosmetic appeal of Freshlook Colourblends. 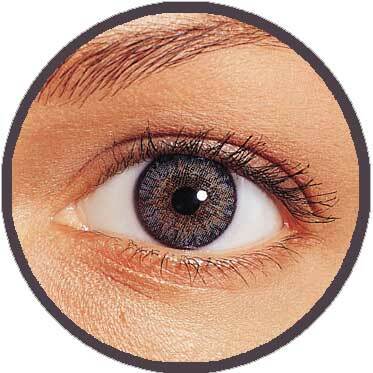 If you wear focus daily lenses contact lenses you can now change your eye colour on a daily basis! 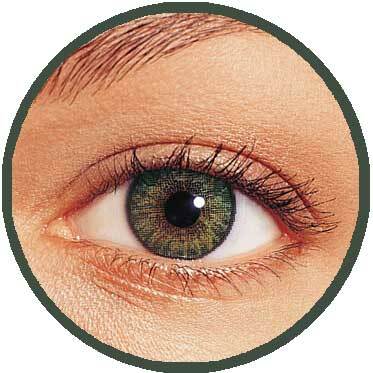 They are available in Blue, green, pure hazel and grey. 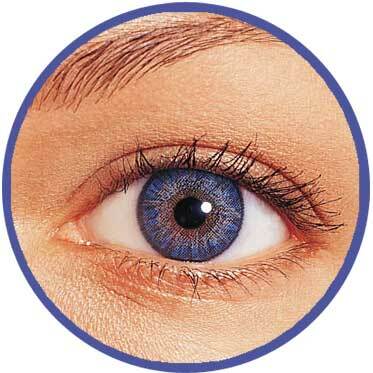 These lenses are designed to be worn for one day up to a maximum wearing time as recommended by your Optician. All colours represented are only approximate and may appear different on the eye, depending on your eye colour. I have tried soooo many brands but will stick with this one and save my money!! I have now tried the Blue lenses, these had a dramatic effect making my dark brown eye look electris blue, these lenses dont look natural at all on my eyes....But they are good fun. Hi, i have dark brown eyes and i tried the Green and Hazel. These coloured lense`s had no effect at all so i won`t buy these again, but i`m am going to try the Grey because the reveiws seem good, i`ll let you all know. I have dark brown eyes. Got the hazel ones and they made my eyes brighter, lighter hue and bigger. Love them. I have extremely dark eyes so I did not know if these lenses would make any difference but thought I would try for a change - if they were comfortable then they are worth a try! 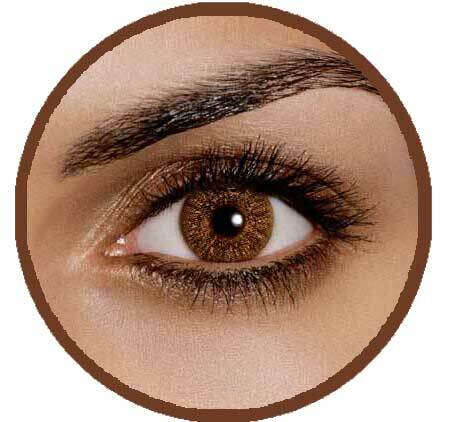 They are extremely comfortable for one, and they add a very slight difference to my dark eyes (I bought green). It is as though my eyes have had delicate highlights. I do not look like an alien with bright green eyes as other makes have made me look. People have noticed how bright my eyes look but have not noticed a change in colour. I would definitely buy again. Hazel gave me the exact look I was hoping for, a perfect colour, the brown rim to the hazel centre, it created an incredible effect. My favourite contacts, these exact colours should be designed for monthly wear!!! !